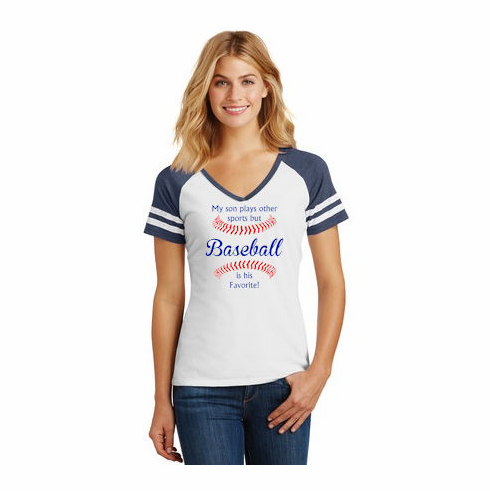 These baseball women's game t-shirts have the My son plays other sports but Baseball is his Favorite! graphics screened on the chest. 4.5-ounce, 60/40 ring spun combed cotton/poly blend. Short sleeve crossover v-neck...brand new design!